As America’s #1 Gold Record Award winning group of all time, and that’s in every category, KISS can easily be named one of rock’s most influential bands. The Rock N Roll Hall of Famers have released 44 albums and sold more than 100 million albums worldwide. Honoured by their peers, KISS received the illustrious ASCAP Founders Award in 2015. 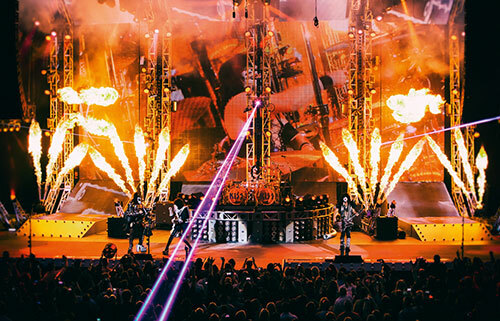 Over 40 years of record-breaking global tours have brought KISS to their fans. They kicked off their recent world tour with 5 headlining shows in Japan and a #1 single in 2014 Samurai Son with pop group, Momoiro Clover Z. Their 40th Anniversary World tour also rocked North America, South America and Australia. Additionally, once a year the “KISS Army” becomes the “KISS Navy” as fans from across the globe board the KISS Kruise (2016 year will mark their 6th voyage). KISS teamed up with Warner Brothers in 2014 to create the well-received original movie ScoobyDoo and KISS:Rock And Roll Mystery. Other high-profile appearances have included the Super Bowl, the Winter Olympics, Rockin’ The Corps concert, a FOX alliance with KISSappearing in multiple episodes of Family Guy, plus two special guest performances on American Idol finales. 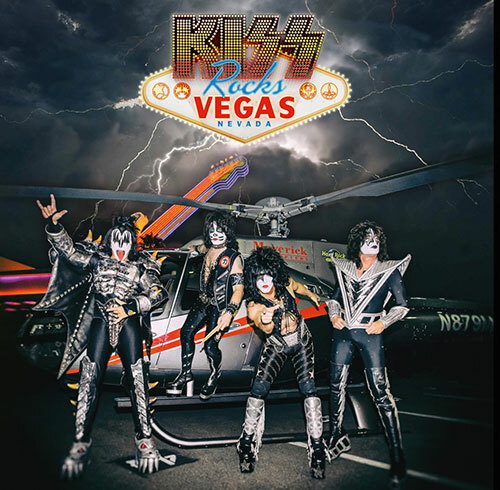 KISS has been featured in major advertising and marketing campaigns for John Varvatos, Google Play, Hello Kitty - even appearing in a Dr. Pepper Super Bowl commercial and advertising campaign in support of their Hottest Show On Earth tour. This year represents the 3rd season of the LA KISSArena Football League team bringing professional football back to Los Angeles. KISS founding band members Paul Stanley and Gene Simmons have also entered the culinary world by opening a string of successful restaurants aptly named Rock & Brews.